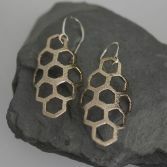 My elegant Sweet Honeycomb Dangles look stunning on and would complement any outfit whether casual of evening wear. 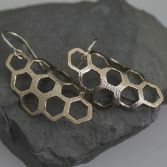 They are made using my honeycomb slice ( unique to JBJ) in Bronze and handcrafted sterling silver ear wires. The honeycomb slice measures 35mm by 45mm. The surface of the honeycomb slice is slightly curved creating an elegance and stylish look. The front surface of each earring also has a fine dimpled texture which catches the light beautifully. 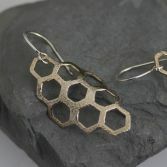 My handcrafted sterling silver ear wires have been soldered together to ensure your honeycomb is not lost. All my sterling silver is source from a reputable UK bullion dealer so you can be sure of the quality. 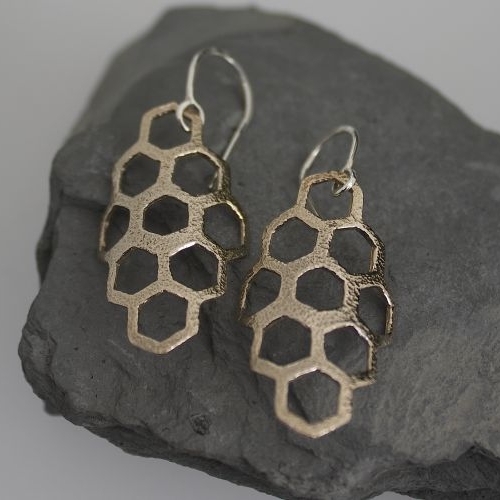 Your Sweet Honey Dangle earrings will be presented to you in one of my signature gift boxes and posted via Royal Mail 1st class recorded delivery (signed for) to any UK address free of charge.